Question (1921)—Do the Scriptures teach universal redemption or universal salvation, or do they teach both? Answer.—This is a matter that might be stated in different terms and yet stated correctly. We might say that we have universal redemption, in that the redemption is on behalf of all, and that the results of the death of Christ will be made efficacious to all of Adam’s race. When it is made efficacious to all it will mean their salvation—either that they will be actually and fully saved out of sin and death conditions, or that they will have a full, complete opportunity for recovery out of sin and death, with only their wills to intervene. Through Christ the work of the first Adam will be entirely undone. Each member of the race will be privileged to come back to all that was lost, if he will. An everlasting salvation, a complete deliverance from sin and death, will require the individual’s full co-operation. There is a Law of God which when broken leads to a sentence of death, as in the case of Father Adam. Broken by any one who has been delivered from the sentence of Adam and fully restored, that Law would mean that individual’s condemnation to death afresh. The Bible speaks of this condemnation as the Second Death, which it teaches some will undergo. The first death passed upon all because of one man’s sin. The Second Death will pass upon none except for wilful, intelligent sin of the individual, which the Bible teaches some will commit. Such a sin could not be committed until first such ones had been delivered from the sentence previously upon him through Father Adam—the first death sentence. The world, therefore, could not now die the Second Death, because the world is not yet released from the first death. No man could be judicially tried and condemned to death twice for the same offense. To have a second sentence he must have come, either actually or reckonedly, from under the first sentence, and then committed a second offense. The world has been condemned once—Adam and all his race. Not until they shall be released from that condemnation could they come into a fresh condemnation. Hence the Bible declares it to be God’s purpose that there shall be a great Day, a thousand-years Day, in which Christ will give the world a judgment, or trial. The right to give them this trial our Lord Jesus has secured by His own death, having tasted death for Adam and all his posterity condemned in him. (Hebrews 2:9.) The death of our Lord, a perfect man, would be the full offset of the sentence upon the first man. Thus the way is opened for the great “Times of Restitution” spoken of by the Apostle Peter.—Acts 3:19-21. So our Lord Jesus has become the Redeemer, the Purchaser, of Adam and all his race. He has not yet fully accomplished the work of purchase; for the application of the merit of His sacrifice for the world is to follow His Second Advent, when the Church shall have been completed. As soon as this purchase shall have been effected, the cancellation of the sin of the world will be made. The world will then be turned over to Christ, free from the penalty of original, or Adamic sin; and each individual will have a full opportunity, or trial, or judgment, to determine his real character, his real intention, his real attitude toward right and toward wrong, toward God and toward sin. This will affect first the living nations, and then, gradually, those who will be in the tomb, as they shall come forth. This will be universal redemption, or deliverance, from the Adamic death penalty, universal purchase from death; but not universal deliverance or salvation to eternal life, which will be conditional. The Apostle Paul, in speaking about this great trial Day, or Judgment Day, of the world, says, “God hath appointed a Day [future] in the which He will judge the world in righteousness by that Man whom He hath ordained.” (Acts 17:31.) The word “Man” in this case is evidently used in a figurative way to represent Jesus the Head of The Christ and the Church His Body, who are to constitute the great Mediator between God and men for a thousand years, for the purpose of giving all mankind a full release from the Adamic penalty and a full opportunity to return to God. “Whosoever will” may have that full opportunity and may, be improving it, be found worthy of everlasting life. He may at the end of the thousand years, in mankind’s final test, demonstrate that he is able and willing—able because perfect, willing because of right heart-intentions—to keep the Divine Law. All such will be granted life eternal by the Father. All others will be destroyed. Question (1920)—In the Sept. Herald you teach that in the parable of the Wise and Foolish Virgins the latter also represent Christians; while I believe they are wicked. How do you justify your view? Answer.—Biblical facts and symbols as well as the fulfilment of the parable prove that the foolish virgins are Christians—a part of those Christians who belong to the Great Company class. A virgin, whether she is wise or foolish, is a pure maiden, and therefore in Bible symbols is used to pre-figure consecrated people. (Ps. 45:14, 15; Rev. 14:4; Cant. 1:3; 6:8, compare with Rev. 7:9; 2 Cor. 11:2.) It is because the Bible uses virgins to represent consecrated people that we understand the foolish as well as the wise virgins to be Christians. Certainly those who are not Christians do not go forth in the spirit of their minds to meet Christ in His Second Advent, as the foolish virgins are represented as doing. Certainly the wicked do not “love His appearing”, as both sets of the parabolic virgins are represented as doing; and certainly the wicked do not prepare to meet Him, as both sets of virgins do. Therefore the foolish virgins cannot be wicked people, but are Christians; for they act as such, even if they are foolish. A brief explanation of the parable will help us better to see this. Properly to understand the parable we must see its purpose and scope. By a scene that showed the difference between properly and improperly prepared virgins going forth to meet the return of an oriental bridegroom with his bride, two classes of Christians in the time of the end, properly and improperly prepared to go forth to meet the Lord at His Second Advent, are set forth. The story of Matt. 25:1-12 has very frequently in oriental countries had an enactment; and Jesus therefore used that frequent occurrence to picture forth what would take place in the Time of the End, even as the word “then”, with which the parable begins, referring to the time of the events of Matt. 24:15-51, proves that the fulfillment of the parable would take place during the time of those events, which are fulfilled during the Time of the End. From Daniel’s use of the expression, “the Time of the End”, as beginning at the time of Napoleon’s return from Egypt, 1799 (Dan. 11:29, 30, 40), we understand that as a period it reaches from 1799 until the establishment of Messiah’s Kingdom. (Dan. 12:1.) We are therefore to look in that period for a movement occurring in which Christians would go forth in the spirit of their minds to meet the Lord in His Second Advent. Such a going forth began in the Miller Movement in 1829, continuing from various standpoints ever since. The wise virgins we understand to represent the thoroughly faithful, who understand and act upon the Truth as due; while the foolish virgins we understand represent overcharged Christians who do not understand the Truth as due. The Lamps or Torches represent the Bible, which both classes have. (Ps. 119:105.) The oil represents the Holy Spirit of understanding (Ps. 23:5; 45:7; 133:2; Isa. 61:1; 11:2; Acts 10:38; 2 Cor. 1:21, 22.) The vessels represent their brain faculties (2 Cor. 4:6, 7) where the spirit of understanding resides or does not reside. The difference between the two classes that made the one wise and the other foolish does not consist in this—that the one has Bible (lamps) and the other has not; for both have them;—but it consists in this—that the one has the Holy Spirit of understanding (the oil) in their brain faculties, and the other has not. And this difference is due to the fact that the wise are given the light as due because of their greater degree of faithfulness, while from the other the light is withheld because of insufficient faithfulness. While Christians began to go forth to meet the Lord increasingly from 1829 onward, the Lord did not come in 1844, as they expected Him. He delayed His Coming, as the parable indicates that He would (verse 5). As a result of their disappointment of 1844 they somewhat lost interest in and zest for the Second Advent (“slumbered and slept”). We understand the cry: “Behold the Bridegroom!” (The original Greek omits the word “cometh”, as the later English translations also do) to have begun shortly after 1874, in a period (midnight) in which His presence was generally misunderstood as to its object, time and manner. Since that time an ever-increasing number of consecrated Christians have recognized the Lord’s Second Presence, as the message, “Behold the Bridegroom”, has been studied by and become clear to them. And certainly since that time there has been much Bible study, resulting in removing previous errors on the object, manner and time of our Lord’s Return (“and they trimmed their lamps”). Now a difference appears among the virgins. (Verses 8 and 9.) Those who have not the spirit of understanding in their mental faculties find their Bibles becoming more and more obscure (“our lamps are going out”, Rev. Ver. ), while the others find more and more light in their Bibles. Those who do not understand desire the Holy Spirit of understanding to be given them by the others; but this cannot be communicated from one to the other; it must be acquired, “bought”, in the markets of experience, by holy living, self-denying serving and Christlike suffering (verse 9). The wise in attempting to give it contrary to this principle would do wrong, and this would cause their store of the spirit of understanding to decrease to such an extent as to prevent their having a sufficiency to gain the Lord’s blessing in the Kingdom privileges (verse 9), symbolized by the marriage feast into which none were admitted without lighted lamps, showing that without the true understanding of the Bible none in the end of the Age can enter the Kingdom. Wars—Promoted By Satan And His Demons. Question (1963)—Are wars promoted by Satan and his fallen angels? Answer.—Satan and his fallen angels, together with the sinful, selfish, fallen condition of mankind, are responsible for the wars of history. Satan, “the god of this world” (2 Cor. 4:4), has thoroughly organized the invisible phase of his empire, as well its visible phase. The chief deputy of Satan in each country got himself called the god of that country in heathen times and countries, and later the national patron saint in various Roman Catholic countries of Christendom. Thus the so-called Saint George was the counterfeit patron saint (actually a demon) of England; St. Denis, of France; St. Michael, of Germany; St. James, of Spain; St. Patrick, of Ireland, etc., while provincial and local gods or so-called saints were actually the demons in charge of provinces, cities and towns of the various countries. Thus they got themselves worshiped (Lev. 17:7; 2 Chron. 11:15; Psa. 106:37; 1 Cor. 10:20, 21). Question (1960)—We read in Ex. 7:20, 21, that “all the waters that were in the river were turned to blood, and the fish that were in the river died.” Are we to think that this was literal blood of humans or animals? Answer.—According to vs. 19 and 21 all the waters “throughout all the land of Egypt” were turned to blood, in this the first of the ten plagues. There is no record of the slaughter of men or animals that would produce such an effect. The Egyptians were obliged to dig wells near the river (v. 24) using the soil as a purifier or strainer of the water. Of course the thought must be that the water become bloodlike. Question (1960)—In the Jan. Bible Standard, page 7, it was explained that in the first of the ten plagues in Egypt (Ex. 7:19-21) God may have caused the waters to become bloodlike by means of microscopic animals or minute algae, and an interesting account was given of a deadly sea microbe that when it “blooms” turns the water blood-red. Was not the occurrence off the Florida coast last fall of this same nature? Question (1965)—What is meant by the words of the Prophet (Isa. 28:9): “Whom shall he teach knowledge? and whom shall he make to understand doctrine? them that are weaned from the milk, and drawn from the breasts”? The sincere milk of the Word, which the newborn babes in Christ should earnestly desire, that they may grow thereby, is the simple truth, the foundation doctrines. These are the plain, clear statements of the Scriptures, such as those pertaining to (1) the original Edenic perfection and glory of humanity, created in the image of God (Gen. 1:27, 31); (2) the fall of Adam and the race in his loins when he sinned (Gen. 3; Rom. 5:12; 1 Cor. 15:22); (3) the death penalty (Gen. 2:17; 3:19; Rom. 6:23); (4) the redemption provided for Adam, therefore also for His race, by the payment of a ransom—an exact equivalent—price, the sacrifice of “the man Christ Jesus, who gave himself a ransom for all,” who “tasted death for every man” (1 Tim. 2:6; Heb. 2:9); (5) the consequent actual deliverance of the elect and the non-elect of the redeemed race in the resurrection from Adamic death and the Adamic dying process of God’s due time and order, and the bestowing of eternal life on the willing and obedient (Acts 3:19-21; Isa. 35; Rev. 15:4), etc. Natural babes drink milk and they exercise to grow strong, until soon they are ready for the solid foods. So the Apostle says (Heb. 5:14) that strong meat (the deep truths of God’s Word) belongs to those who are mature, “who by reason of use have their senses exercised to discern both good and evil.” These more developed Christians enjoy a greater measure of fellowship with the Lord, have the greater feasting at His table and experience the deeper joys and strength that the Lord supplies as He gives them “their portion of meat in due season” (Luke 12:42). We have need of strong meat—the strong doctrines—that we may “be strong in the Lord, and in the power of His might” “and be established in the present truth” (Eph. 6:10; 2 Pet. 1:12). Only those who are weaned from the milk, and drawn from the breasts, who have ceased to be babes and have made some progress in development, will be prepared for the instructions from God’s Word that the Lord now has to give, precept upon precept, line upon line, here a little and there a little. Biblical Truth progresses in a seasonable unfolding, as indicated by such expressions as “meat in due season,” “light that shineth more and more,” “the testimony for due times” and “the present truth” (Luke 12:42; Prov. 4:18; 1 Tim. 2:6; 2 Pet. 1:12). We are to seek diligently to understand the truth of God’s Word as due in our day. Weather—Gen. 8:22, Will We Suffer The Extremes Of Weather In The Kingdom. Question (1950)—In Gen. 8:22 we read, “While the earth, remaineth, seed time and harvest, and cold and heat, and summer and winter, and day and night shall not cease.” Does this mean that a perfect man in a perfect world will suffer from the present extremes of temperature? Question (1972)—In Eccles. 1:18 we read: “For in much wisdom is much grief: and he that increaseth knowledge increaseth sorrow.” If this is true, then would it not be better for us to remain ignorant, and not seek knowledge and wisdom? Answer.—The quoted statement is true, for God inspired Solomon to write Ecclesiastes (1:1, 12), even as He inspired him to write the bulk of Proverbs, in which we read: “Wisdom is the principle thing; therefore get wisdom: and with all thy getting get understanding”; “For wisdom is better than rubies; and all the things that may be desired are not to be compared to it”; “The lips of the righteous feed many: but fools die for want of wisdom” (Prov. 4:7; 8:11; 10:21). Since God’s Word does not contradict itself, these statements in Ecclesiastes and Proverbs must have been written from different standpoints. Matters become clear if we keep in mind that in writing Ecclesiastes, Solomon apparently represents the Ancient Worthies as a class (from Abel to John the Baptist; Heb. 11; Matt. 11:11); and his thoughts therein seem to represent their thoughts as they reasoned on the vanity, the emptiness, of their and others’ varied experiences under the curse of Adamic sin and death, and on why these experiences were permitted. Accordingly, Ecclesiastes does not give a complete answer as to why such vain experiences under the curse were permitted, but only such an answer as the Ancient Worthies understood. It was not until in the Harvest of the Jewish Age (after our Lord’s First Advent) and more particularly not until in the Harvest of the Gospel Age (in which we are living), that this matter was understood in its fulness. But, as we see from Eccles. 12:13, 14, the Ancient Worthies understood enough of the subject to be to see that man’s experience under the curse was to teach him the vanity of earthly things and occupations under the curse, and from it learn to reverence God and keep His commandments, for all men owe this to God. For an answer to our question we do well to keep the above-mentioned viewpoint in mind. Let us note the context leading up to Eccles. 1:18: The words of this book are set forth as the teachings of the Ancient Worthies, who were the executives of God’s Old Testament matters (v. 1). One of the main themes of their preaching was the utter emptiness of all the experiences with earthly things, considered in themselves, under the curse (v. 2). At the end of one’s life under the curse, what profit did one have for himself from his labor, viewed as the Ancient Worthies thought (v. 3)? They contrasted the transitoriness of each generation with the permanence of the physical earth (v. 4). They considered that the sun runs its course continually (v. 5), that the winds have their circuits (v. 6), and that water in its course takes the forms of vapor, clouds and rain, which then passes in turn through springs, brooks, rivers, lakes and oceans and then repeats these processes in perpetual succession (v. 7). They meditated on the unspeakable abundance of labor, on the unsatisfied condition of sight and hearing (v. 8), on the constant repetition of things in existence and work, on the absence of new forces in nature (vs. 9, 10), and on the fact that no one can remember the things as of his experience happening before his time, nor call to mind things happening after his days (v. 11). 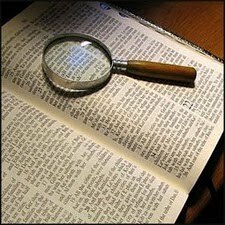 The Ancient Worthies as executors in God’s Old Testament matters for His people (v. 12) loved to investigate matters of knowledge on this earth, but found it a wearisome task (v. 13). All their meditation thereon brought finally a realization of their emptiness and unsatisfactoriness to the mind (v. 14), and the impossibility of reforming man’s depravity and of numbering the things lacking (v. 15). As they successively in their generations meditated on their own condition, they recognized the wealth of privilege and knowledge that was theirs as above their predecessors, and the greatness of their heart experiences as to the Divine Word (v. 16). Indeed, they were much disposed to appraise aright the things of truth, of superstition and of error; and they concluded that such pursuits led to many mental difficulties (17), since they found that in much truth there is also much sorrow, on account of the curse, and since he who increases his understanding of the curse, uncleared by the light of the New Testament, greatly causes distress to abound (v. 18). Thus we see that the reflected light of the Old Testament wisdom and knowledge (the moon) is dependent on the light of the New Testament wisdom and knowledge (the sun), in which Jesus, who abolished death and saved us from its curse, has called us “out of darkness into his marvellous light” (2 Tim. 1:9, 10; 1 Pet. 2:9). During the Gospel Age the Church has been “cloth-ed with the sun, and the moon under her feet” (Rev. 12:1—the Old Testament is foundational to our faith). Proverbs speak prophetically of wisdom and knowledge from a different, higher, standpoint than that found in Ecclesiastes. In Jesus Christ, “the wisdom of God” (1 Cor. 1:24), “are hid all the treasures of wisdom and knowledge” (Col. 1:19; 2:3). It is “the manifold wisdom of God,” revealed by Christ unto us “in all wisdom and spiritual understanding,” that brings us special joy (Eph. 3:10; Col. 1:9, 10). The words that He speaks unto us are spirit and life (John 6:63). Question (1963)—Who are the Ancient Worthies and the Youthful Worthies? Answer.—These two classes are respectively referred to in Joel 2:28 as the “old men” and the “young men” who will dream dreams and see visions, i.e., receive revelations from heaven, as Christ’s visible representatives in the earthly phase of the Kingdom during “the times of restitution” (Acts 3:19-21) for the world of mankind—“afterward” (after God has finished pouring out His holy Spirit upon His Little Flock and His Great Company—His servants and handmaids—“in those days” of the Gospel Age—Joel 2:29; Acts 2:18)—in the Millennial Age, when God will pour out His Spirit for all flesh. The Ancient Worthies are designated by the Hebrew word zekenim, which is translated “old men” in Joel 2:28, “elders” in Psa. 107:32 and “ancients” in Isa. 24:23, and by the corresponding Greek word presbuteroi in Heb. 11:2, which is translated “elders” (and “an-cients”—see Diaglott; Rotherham). In Heb. 11:38 they are referred to as persons “of whom the world was not worthy”; hence we designate these faithful ancients (from Abel to John the Baptist, some of whom are described in Heb. 11) as (Ancient Worthies.” And by analogy we designate the “young men,” literally “youth-fuls” (Joel 2:28), as “Youthful Worthies.” The former are God’s consecrated servants who were faithful unto death before Pentecost, when the first Spirit-begetting of prospective members of Christ’s Bride took place; and the latter are God’s faithful servants who consecrate themselves to God and His service here in the end of the Gospel Age after Spirit-begetting ceases and no more persons are inducted into the Little Flock (its final membership being complete), but before the end of the time apportioned by God for the selection of this Youthful Worthy class. Thus there are four elect, or select, classes of God’s consecrated servants developed prior to the Millennial Age, when restitution blessings will be given to the world, including their being placed on trial for everlasting life. These elect classes are distinct from the quasi-elect and the non-elect, the “sons” and “daughters” of Joel 2:28. Question (1968)—In Heb. 13:8 we read of “Jesus Christ the same yesterday, and today, and forever.” What is meant by this expression? Answer.—It does not mean that Jesus always acts in the same way or is always doing the same work; nor does it mean that He is always of the same nature, for He was first a spirit being, the Archangel. “In a beginning [so the Greek] was the Logos, and the Logos was with the God, and the Logos was a god [a mighty one]” (John 1:1: see Diaglott). He was “the firstborn of every creature” (Col. 1:15), “the beginning of the creation of God” (Rev. 3:14). In due time He was made flesh (John 1:14; Gal. 4:4), i.e., a human being, then died and was raised to the Divine nature and given a name above every name (Phil. 2:6-10; Heb. 1:3, 4). But He has been and is the same person in all three natures. Answer.—These three parts are not stated to be thirds or equal parts; therefore, we must not so interpret this passage. We understand that it refers to three classes: The two classes that are cut off and die we understand to be the “little flock” and the “great company.” All of both classes are consecrated unto death—the one class, the Little Flock, goes into death in a voluntary manner, sacrificing; the other class, the Great Company, goes into death under adverse circumstances which test their loyalty to the Lord, and prove their willingness to serve Him even at the cost of life itself, even though they did not have that consuming zeal which would lead them, according to their covenant, to proper self-sacrifice. Zion—Can We Be Sure That Now Is The Time For Favor To Return To Zion. Question (1961)—How may we be sure that the time to favor Zion, “the set time” when the Lord “shall build up Zion” and “appear in his glory” (Psa. 102:13-16), has really come? Answer.—The fact that He is now doing so should be sufficient proof, for God is the great and accurate timekeeper, He never does anything too early, nor to late, but always on time. However, there are also many prophecies that point to the present day as the time for Israel’s special blessing. We will here consider only one of them.